As we approach the anniversary of the new General Data Protection Regulation (GDPR to you and me), survey results are still making disturbing reading for many UK businesses that have been slow to implement a GDPR readiness strategy, or have yet to make any provision for GDPR compliance. GDPR isn’t just a legislation for global enterprises, it affects the way that any business collects, processes, uses, stores and protects people’s personal data. Furthermore, businesses are now legally required to notify the local data protection authority of a data breach within 72 hours of it being discovered. In a recent survey of 10 EU DPAs it was reported that the UK received almost double the number of complaints and data breach notifications than its nearest rival, Germany. In context, the UK has had roughly 51 complaints per 100,000 people and an average of 42 breach notifications per day since May 25th 2018. Despite the UK’s confirmation that Brexit will have no effect on the government’s plan to implement the GDPR, a survey by Thomson Reuters just last month revealed that the UK came in with the lowest awareness level of the regulation’s implications, with only 39% of UK companies identifying the law as a compliance concern. With fines rising from a maximum £0.5M to 20M Euros or 4% of annual global turnover (whichever of both is the highest), the honeymoon period may be coming to an end for every business that has failed to implement a relevant GDPR compliance strategy. 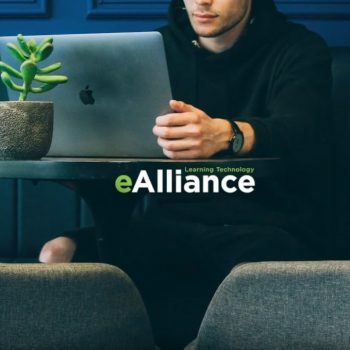 Since the beginning of 2018, eAlliance Learning has worked with a variety of multi-sector organisations, ranging in size from 25 – 1,000+ staff, to provide GDPR training as part of their ongoing compliance implementation strategies. So far we have enabled GDPR training for multiple employees and data controllers in both public and private sector organisations, either through our off-the shelf online modules or by providing custom LMS and training solutions. We recognise that whilst general GDPR awareness is an organisational requirement affecting everybody there are elements that are also role specific, so in addition to providing off-the-shelf training we consult with employers to create custom GDPR learning pathways to meet operational requirements.